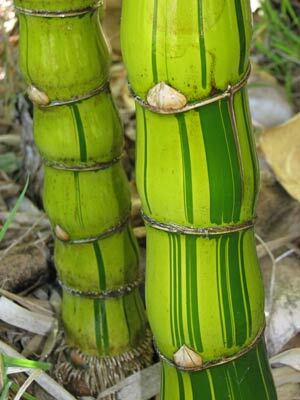 A beautiful striped form of Giant Buddhas Belly which is even more compact that the usual green form. 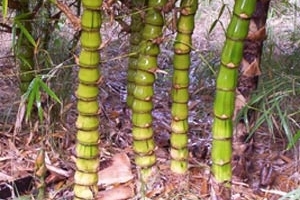 Like the Buddha’s rounded belly from which this bamboo earns its name, the culms have swollen internodes that are highly ornamental and also reduce the height of this plant to a manageable garden variety. 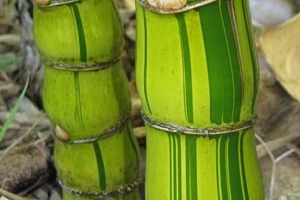 Great as a screening plant or as a stand alone ornamental it’s a real feature plant. 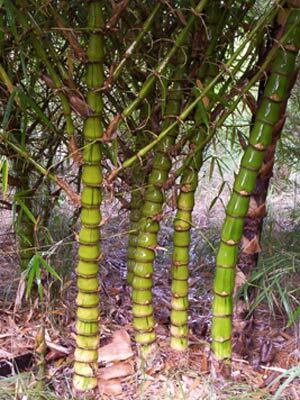 If you require an instant effect we can supply advanced ex-ground plants, fully bellied and ready to go.